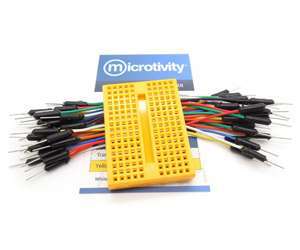 Features of our Mini Breadboard kits: The mini breadboard is ideal for developing small projects, to serve as a secondary circuit of a larger system, and many other ways. They are also excellent for use in size-constrained situations like being part of a artwork. The included jumper wires allow you to connect different components quickly. Wires come in different colors and therefore so it won't be hard to tell which ones are which.